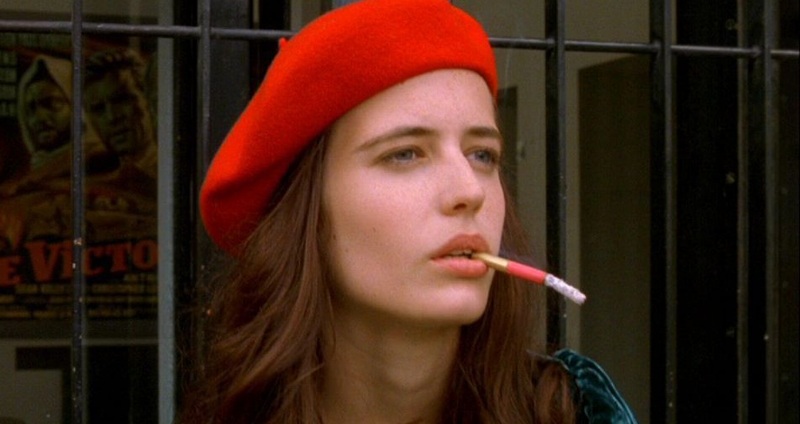 The first time I saw The Dreamers (2003) I felt my world shift and my cinematic viewpoint become all the more clear. This is by no means a new film but it is one of the key players in my love-affair with French Cinema and indeed with cinema in general. You see, The Dreamers is not just one film, it is many. Bertolucci created what could arguably be described as an ideal showcase of the cinematic art form; one whose foundations are based on an entire collection of cinematic greats. The film makes reference to such classics as Jean-Luc Godard’s Bande à part, François Truffaut’s Les quatre cents coups, Josef von Sternberg’s Blonde Venusand Godard’s À bout de souffleto name but a few. The Dreamers‘ premise is that of Matthew (Michael Pitt), an American exchange student in Paris, who encounters siblings Isabelle (Eva Green) and Théo (Louis Garrel) who are fellow film enthusiasts. As their friendship develops, Matthew discovers a perverse and somewhat incestuous side to the siblings. However, despite his moral objections, he ends up falling in love with both of them and entrenching himself deeper and deeper into their secluded bubble of fantasy and film. The film is set against the backdrop of the 1968 Paris student riots, the significance of which is emphasised by the trio’s continual denial of reality – by a life lived almost entirely in film. Despite these objections, Green went ahead with the filming and proved to be absolutely captivating as the beautiful, naive Isabelle. All three actors create a perfect unity with each other and the chemistry between them is unbelievably real. A perfect fusion of sexual, political and cinematic awakening, The Dreamers is an enchanting, exquisite production that is firmly cemented in the ‘classics’ of our time. 18 May	This entry was published on May 18, 2013 at 2:25 pm. It’s filed under Film and tagged Bernardo Bertolucci, Blonde Venus, Dreamers, eva green, François Truffaut, French Cinema, Jean Cocteau, Jean-Luc Godard, Josef von Sternberg, louis garrel, Michael Pitt. Bookmark the permalink. Follow any comments here with the RSS feed for this post.